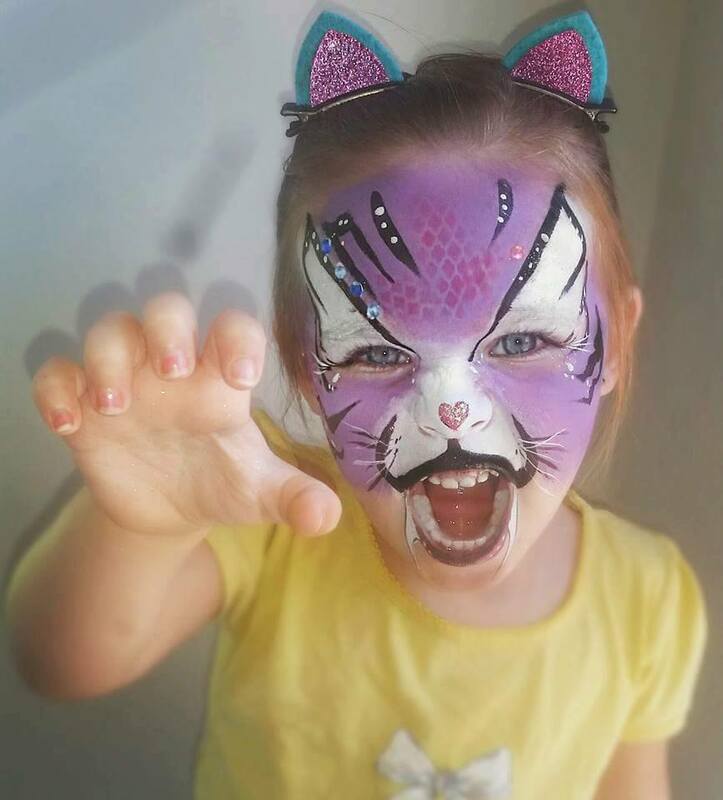 Everyone of all ages loves having their faces painted and it’s the perfect way to add extra colour and excitement to your next disco. We use and recommend Sarah from Surreal Strokes for all of our parties. Contact her below and book her for your next disco party! Surreal Strokes only use professional products (from a certified supplier) that are cosmetic grade and specifically formulated for use on sensitive skin. 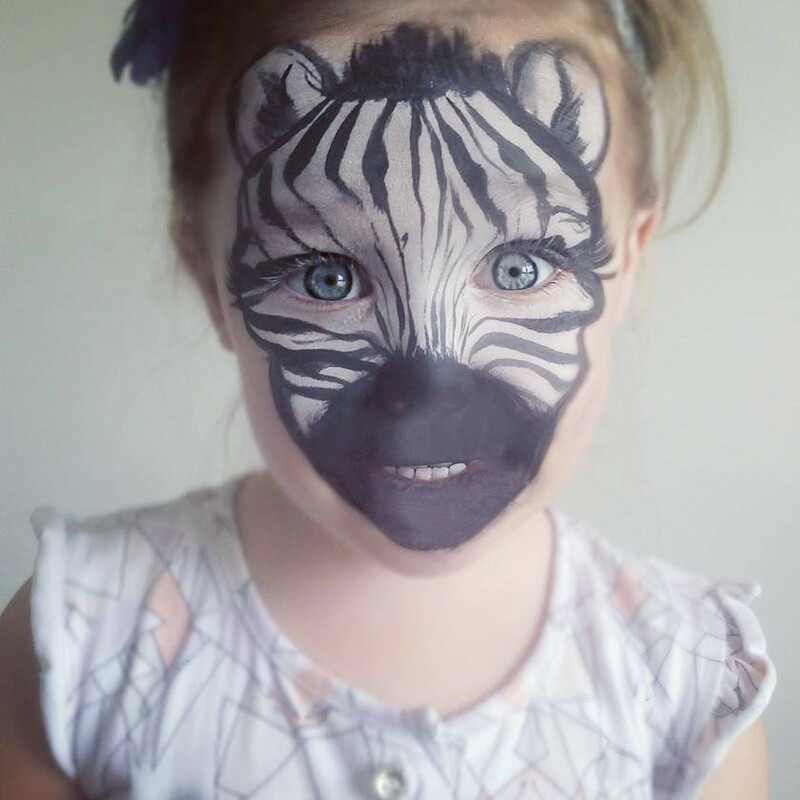 It is non toxic and unlike store bought face paint, it is lead free, acrylic free, FDA compliant and water based so it will not dry hard or irritate the skin. It even has the added benefit of antibacterial ingredients. Check out this video below to see how Sarah and DJ Steve can provide the ultimate in UV parties! 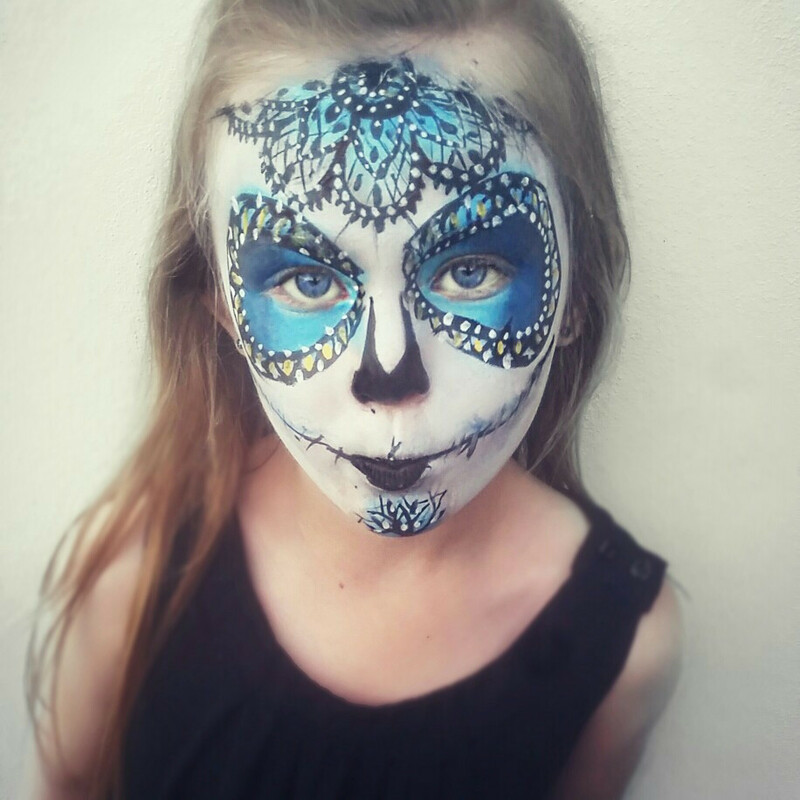 Sarah is able to create some amazing effects that look out of this world! 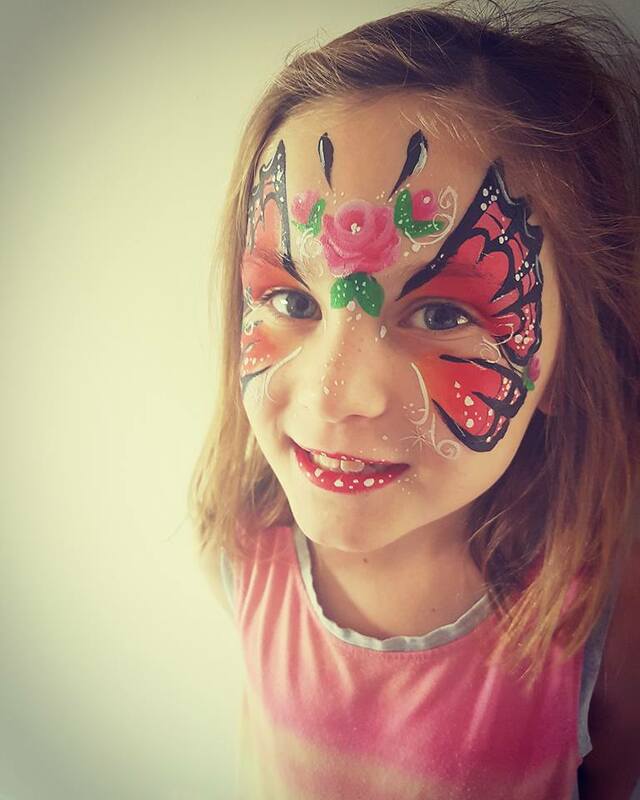 There are several factors that can alter the price and we want to make sure that you are getting the best possible price for your face painting and disco party. Fill out the contact form below to have Sarah contact you to discuss your options and price. Sarah will arrive a short time prior to the disco start time. It won’t take long to be setup and ready to paint faces! Generally, 1 hour will allow for 15 faces to be professionally painted. You could choose to have 1 hour or 2 hours. You may even decide to paint an hour before the disco and an hour during the disco. It’s up to you! 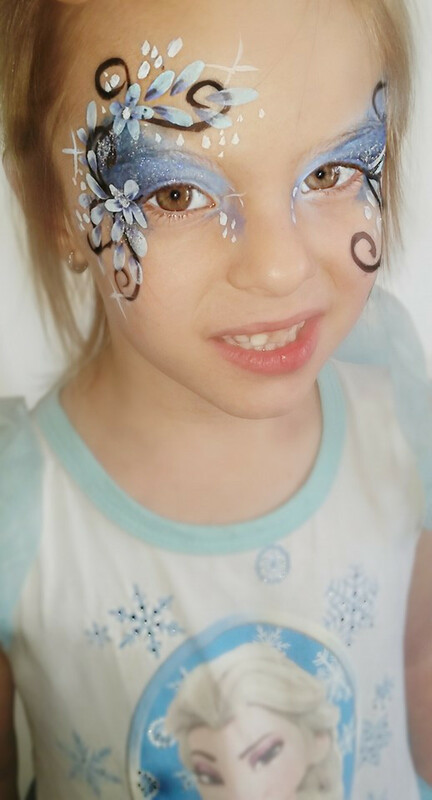 Contact Sarah now for more information on how face painting can bring more excitement to your disco party. Click the ReCAPTCHA to prove you are human!